Many people know about and have experienced the normally fairly large, console style ultrasound machines that are generally used by ultrasound technicians for uses such as 3d ultrasound scans. While these machines had great potential for many uses, their bulky nature and weight limited them to specific circumstances in controlled conditions such as hospitals. Portable ultrasound machines alleviated a lot of these issues and while they do have their own innate drawbacks have opened up a lot of new treatment opportunities. The first ultrasound machines that were portable were developed as early as the 1980’s however they only became truly portable and battery powered towards the end of the 1990’s. Scanning must be done in the field. Portable ultrasound machines are even still regularly used in hospitals alongside the normal larger machines. They are routinely used in emergency rooms to aid in first point of contact diagnosis where speed, efficiency and accuracy are vital to treat the incoming patients. This is all part of the FAST scan or Focused Assessment with Sonography for Trauma which is a screening test to check for free fluid in a patient’s body that can result from trauma, such as blood around the heart. There is also an eFAST or extended FAST exam which also allows for the examination of both lungs in similar circumstances. The advantages of this are that unlike similar methods to check for this fluid the FAST scan is a not invasive and doesn’t expose the patient to any radiation. Due to the fact that this is a rapid bedside ultrasound examination it also speeds up the potential diagnosis in the emergency rooms and can cut down on potential bottlenecks. The mobile ultrasound machines have also been put to use in rugged environments far removed from any hospital. The military has been using these machines for several years now, but since 2007 even Special Forces units have been increasing the amount of them that they make available in the field. While the military has access to x-ray and ultrasound systems for a while, an x-ray machine takes up one third of a Chinook helicopter to transport to a fire base where the ultrasound machines can fit into a standard-size medical aid bag and weigh just a few pounds. Manufacturers are not in the dark with regards to this new potential for their devices and have now made several models designed for these rugged environments where it can be subject to strong impacts and shocks. The machines mentioned above are all self-contained ultrasound machines that can be used individually with no connection or reliance on other services. There have been other developments however that rely on 3G and 4G networks in order to process the ultrasound. In these situations they used a device the size of a cell phone to emit the ultrasonic waves; however the collected data is then transmitted over the 3G connection to a central processing centre. This not only cuts down on the size of the portable device that needs to be carried, but it also cuts down the cost of the necessary equipment and allows the ultrasound technician to focus simply on scanning efficiently while knowing that the image analysis is still being expertly monitored. While ultrasound is already a hugely useful invention, with innovations in mobilizing the technology while also making the equipment cheaper, it shows a bright future for the industry as a whole where more people can gain access to the technology in ever more remote places. If you enjoyed this article please like us on Facebook, Google +1, Twitter, Pinterest and any other places you’d like to spread our message! Dr. Yi-Xian Qin, and Department of Biomedical Engineering graduate student, Jordan Rustad, look at evidence of changes in bone-forming cells as a result of exposure to ultrasound. At Stony Brook University in New York research is being led by Yi-Xian Qin, PhD and Professor into a potentially revolutionary new treatment for osteoporosis, fractures and other related issues that involve bone loss. Currently the only treatments for these issues either involve waiting for the patient’s body to heal naturally, or using pharmacological drug treatments to help ease the problem. This could all change now that they have evidence suggesting that medium-density focused ultrasound can have beneficial effects in this area, potentially being one of the biggest developments in the area since 3D ultrasound. The technique revolves around focusing these ultrasonic waves on osteoblasts, these are more commonly known as bone-forming cells. When these osteoblasts are stimulated with ultrasound they consistently experience increase mobility and triggers the release of calcium which in turn promotes growth. Stony Brook University states that musculoskeletal tissues, like bone and muscle, respond to significant stimuli such as exercise. This is to maintain the tissues natural state of dynamic equilibrium in response to mechanical loading. Realizing this opportunity the researchers decided to test how osteoblasts would respond to other mechanical signals such as ultrasound. The research team developed a new innovative method to apply the ultrasound which they call acoustic radiation force (ARF); they expose the osteoblasts to one minute of this radiation and then try to observe any reaction. What they repeatedly found was that through the use of the ARF focused ultrasound beam they had induced cellular cytoskeletal rearrangement, the motility and mobility of the cells, and accelerated intracellular calcium transportations and concentrations. This is an exciting development in the field due to the comparative nature of the treatment; the opportunity to develop a none invasive and drug free ultrasonic procedure which has the potential to cause little to no side effects has obvious advantages, as this is something that even the mildest drug can sometimes have problems with. Dr. Qin is also involved with other research projects, previous findings of his has led to the creation of an ultrasound machine designed to specifically scan bones and is far more advanced than the current ultrasound technology in the area as it assesses bone parameters beyond simple mineral density. This machine was initially invented to act as a diagnostic tool to help predict early bone loss, with the discovery of the effects of ARF, they are now looking to combine the two technologies in order to build a device that can first predict and identify bone loss or fractures, and then provide ARF treatment to the affected area in order to promote growth and healing. The more that scientists study ultrasound the more benefits and uses for it are being discovered. It still amazes me personally that simple sound waves can have such an effect on us as people, especially when it is normally thought of as a method of seeing, not healing. It is studies such as this that go to show what a bright future ultrasound has in our world and the exciting times that people who enter the industry will experience. To keep an eye on other interesting ultrasound news visit our homepage. Show your support for this article on Facebook, Google + and Twitter. Ultrasound technicians are involved in many different areas of medicine. While the most commonly thought of use for sonography is that of obstetrics and pregnancy, ultrasound especially 3D and 4D ultrasound has many different uses. If you’re new to this website we explain what ultrasound is and some background to the area in our article diagnostic medical sonography, this article will assume a basic knowledge of what ultrasound is and instead focus on providing an overview of these uses and procedures. One of the rarely thought of but commonly used uses is during anesthesia. At this time ultrasound is routinely used in order to guide the injecting needle when it is necessary to place a local anesthetic in close proximity to nerves. The use of ultrasonography during cardiology is called echocardiography. This is regularly used to view the heart in order to diagnose abnormalities. Echocardiography can determine many heart issues from investigating if the heart is formed and functioning properly, checking for dilation in any part of the heart and can even assess blood velocity when using Doppler ultrasound. Ultrasound is routinely used to aid diagnoses at the first point of care. In situations such as these where speed, accuracy and efficiency save lives, ultrasound is used in many situations including the Focused Assessment with Sonography for Trauma (FAST) exam. As the name implies this is a rapid examination that can be done at a bedside. The aim to screen for internal bleeding such as around the heart (pericardial tamponade) or other abdominal organs (hemoperitoneum) which can result after a patient has suffered trauma. There is also an extended FAST or eFAST exam which utilizes sonography in the examination of both lungs. This bedside detection procedure has many advantages, most significant of which is that while other scanning procedures can often detect these issues, the swift and accurate ultrasound scans enable the quick response that is needed in these situations, especially when waiting to perform the lengthier scans can enable other serious complications to develop when not caught immediately. Ultrasonography is also regularly used in the emergency department to hasten the treatment of patients who suffer from upper right quadrant abdominal pain which may result from cholecystitis or gallstones. During this abdominal ultrasonography the organs in the abdomen are imaged e.g. Spleen, aorta, inferior vena cava, pancreas, gall bladder, bile ducts and kidneys. The appendix can sometimes be added to this list, but only when inflamed by such issues as appendicitis. Ultrasound technicians have a complicated job in this area; sound waves are often attenuated by fat or even blocked completely by gas contained within the bowel. Due to this the diagnostic capabilities for gastroenterology have a limited impact. The skull generally provides a virtually impenetrable barrier for ultrasound, however with an infant the soft area of the skull (Fontanelle) does allow for ultrasonic waves to penetrate for a short while, until these close at around 1 year old. This allows for the analysis of intracerebral structural abnormalities, bleeds, ventriculomegaly or hydrocephalus and anoxic insults. This has many uses, one of which is to discover the amount of fluid a patient retains in their bladder. Pelvic sonograms also cover the uterus and ovaries, or prostate and testicles for males. Ultrasound scans in this area can either be done externally or internally, transvaginally for females or transrectally for males. Scans in this area are used for different purposes but can be used to distinguish between benign testicular masses and testicular cancer. This is the use of sonography to look at tendons, muscles, ligaments, bone surfaces, nerves, and soft tissue masses. This is just a selection of some of the areas that an ultrasound technician gets involved in. With technological innovations such as 3D and 4D ultrasound alongside improvements in the brightness and clarity of the images themselves, new uses and procedures are still being thought of. This is why ultrasound technicians need to undergo regular training in order to make sure they are up to date with the latest advancements and techniques. If you found this article useful or interesting please +1 us, like, stumble, dig and share us! Recent studies have shown that a new type of ultrasound called “speckle-tracking echocardiography” can detect potentially fatal heart abnormalities in rheumatoid arthritis patients. During a meeting in Berlin the researchers from the Mayo Clinic, USA proposed that their technique of speckle-tracking echocardiography shows itself to be a promising method of screening rheumatoid arthritis patients for cardiovascular disease. Allegedly the current tools used to screen patients underestimate the risk they face and so these new more accurate methods could provide real measurable benefits for patient care. Here at modern ultrasound technician we love nothing more than a new research paper or procedure to get our teeth stuck into. While this technique is still in its infancy stages, the research does show promise in the future for a more accurate and effective method of risk assessment for patients in the future, and in our eyes this is one step on the right path for better patient care in the future. Diagram demonstrating the input/output of the diode. Over the years ultrasound has come on leaps and bounds in terms of quality of pictures, and technological advancements such as 3D and 4D ultrasound. While ultrasound can provide massive advantages due to it using harmless sound waves instead of the more radioactive materials, it also has weaknesses due to the same reasons. As anyone who has ever shouted in a large room knows, echoes can produce anomalous readings and interference. While ultrasound relies on these ultrasonic echoes to produce a sonogram the incoming echoes can produce interference with the outgoing sound waves and therefor lower image brightness and resolution. If a method could be found to keep these incoming and outgoing sounds separate, it would help greatly improve the quality of an ultrasound picture. Scientist Jian-chun Cheng of China’s Nanjing University described at the Acoustics 2012 meeting in Hong Kong the advancements in this area his team have been making. 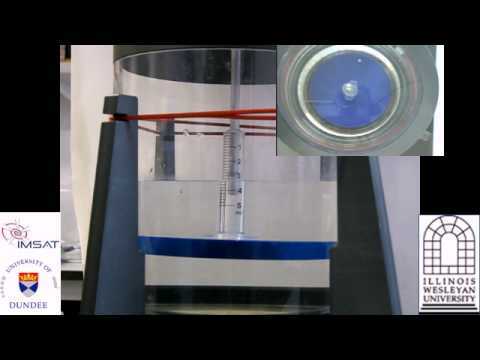 They have created what they call a one way acoustic diode that works similarly to an electric diode. An electric diode works by providing zero resistance to the electric current in one direction, with very high resistance in the other direction, this produces a unidirectional electrical flow and helps protect against sudden damaging reverses in flow. While an ultrasound diode cannot work off a similar principle, sound has the same resistance traveling both too and from a source, the effect is the same. The acoustic diode works by increasing the frequency of sound entering the diode in a certain direction, then putting a material in the way that only allows sound through of a high enough frequency. This allows the higher frequency sound to pass through, while any returning sound which has lowered in frequency cannot pass through the filter material. This truly is an innovative approach to the problem, while many people can get stuck in the details of a problem, it is the simple outside of the box developments like this that are providing real noticeable change in the ultrasound industry and providing the technological advancement our health care system, and patients deserve. No news roundup would be complete without a true “aw” story and we would not let our readers down in such a way. More than 10 pandas are currently undergoing ultrasound at the Chengdu Panda Breeding Research Centre in southwest China. Pandas are notoriously difficult to breed; which, given their endangered species status is of high priority. Female pandas are only fertile for 2-3 days a year, so it was with much joy the Centre reported the 10 successful mating pairs. Pandas are generally pregnant 85-100 days before giving birth and the ultrasound is still being used to check the health of the mothers to be. Unfortunately the ultrasound did find complications with one mother, who is now undergoing further medical treatment. Also as of today, the keener eyed readers (and probably everybody else) will have noticed we have totally altered our website design. The other design was always intended to be a placeholder until we could really get to grips with a makeover we liked. Going forward we will feature many more videos in our articles alongside more relevant images where this is suitable. We have also gone back over some of our older pages and updated them with videos we thought allowed either a more detailed viewpoint, or an easier way to gain a topic overview. We always want to know what our readers think, and are very interested in any areas you believe we can improve on and would love to listen to any improvements or additions you’d like to see here. If you have any tips on current news stories or topics/questions you’d like us to cover, leave a comment below or fill in our contact page at the top. This is the 2nd of a 2 part mini-series of the top 10 reasons to become an ultrasound technician. If you are new to the series and would like to read the whole article please read part 1 first. As talked about in our previous post, we deem becoming an ultrasound technician one of the best career choices you can currently make. We went over the salary benefits, job security advantages and personal fulfillment reasons that make this career path a great one to explore; however we had a difficult time choosing between just 5 points. Due to this we have this 2nd part of the article that allows us to expand and explain some other interesting facets of the job. If variety is the spice of life, sonographers must work in a curry house. The job itself relies on cutting edge technology, and as with anything related to technology, it is rapidly evolving and improving both in terms of equipment and technical procedures. As seen with the invention of <a href=”http://modernultrasoundtechnician.com/3d-and-4d-ultrasound/”>3 and 4 dimensional ultrasound</a>, these new procedures can provide extensive advantages even beyond better diagnosis. It has been repeatedly proven for instance that providing mothers with a 3D ultrasound can actually aid bonding between parent and child. While new uses for these technologies are still being thought of, other innovative ideas are already moving forwards. For instance recently mobile phones have been used as part of a remote ultrasound scanning package where, miles from any hospital or laboratory, sonographers were able to scan a patient and send the information back to a central processing hub for examination. There are many advantages for technology such as this, from lowering the cost of equipment to simply enabling easier scanning, as the sonographer can focus on the patient scan without having to worry about identifying issues on the image simultaneously. As with any rapidly advancing career, it is highly important that a sonographer undergoes regular ultrasound training programs in order to stay up to date with the latest procedures and advances in order to provide the best quality patient care. If you love learning new things, this job will provide just the solution to scratch that itch. One quite surprising advantage of becoming an ultrasound technician is that you get to stay in shape. It is not something that most people would associate with a sonographer, getting a lot of exercise at work, but it is a key component of the sonography role. 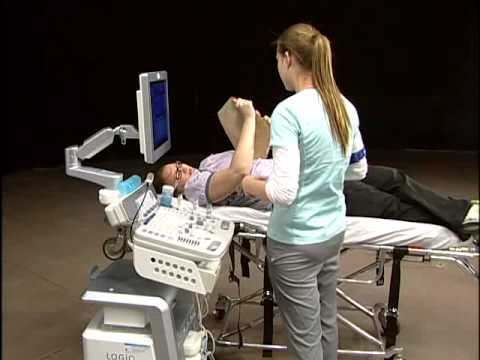 In fact in the course guidance given to anyone investigating studying in the area, the prerequisites are listed as needing to lift 50 pounds routinely, push and pull the ultrasound machine, help patients onto and off examination table, have full use of both hands and be able to bend and stoop. If the idea of sitting at an office desk doesn’t appeal to you as you like to keep active and exercise to keep fit, you can happily tick that off your check list. During training and throughout a career, a sonographer will focus on one of several specializations. They do this so that the training they receive can be more detailed and in depth about that region of the body, so that the technician doesn’t miss anything that could be important during a scan. Due to the high level of responsibility associated with sonography it is a strategic choice they make not to be a jack of all trades. This specialization is a personal choice and it is recommended that each student chooses the one they feel most attracted to, and suits their individual style. The specializations vary across the entire breadth of the human body, from the brain and neurosonology to abdominal and obstetrics (pregnancy) alongside many more. We have more detailed information on the different specializations available in an earlier post. It is never nice to feel pressured or forced into a certain area or aspect of a career that you do not like or are uncomfortable with. This choice allows the sonographer as an individual to stay in charge of their own career path and future, which for us is a very big plus. The promotion prospects in the area of sonography are great. We have already discussed the expected growth in the industry until the year 2020. Growth creates more jobs, and more people to manage. It is not unusual for experienced sonographers to advance and take on managerial responsibilities. In fact due to the desire for hospitals and physician offices to keep hold of good sonographers, they realize that providing a route for ambitious workers is a necessity. Diagnostic medical sonography is a great path to take if you would like to enter a medical career, but dislike the standard idea of studying for 4-6 years to attain certification. The route for an ultrasound technician can vary from a relatively short 1-2 year course up to 4 years to obtain a full Bachelor’s Degree. While this can seem to contradict my earlier statements about the complex and highly skilled, responsible job that this is, it’s because these courses are designed to be a more vocational training. They have been distilled down so they teach you current, active, modern procedures and techniques that you will use on a daily basis. These are not theoretical courses that you may never use again. After the initial training it is usual to undergo an internship for 1-2 years so that you can gain paid direct word experience training under the eye of a currently practicing sonographer. You can read more about this subject on one of our previous articles. If you enjoyed this post please like us on Facebook, Google +1, Pin us and any other social network your part of! These really help take our website to the next level, so we can add more content and expand onwards into the future.